Who says contouring has to be heavy!? While artists like Pati dubroff, Amrezy & Goss make up artist came under speculation & fire via the comments section – No one really knows who he is referring to! I think with all the instagram / social media people forget there is a time & a place for allllllll kinds of make up, no one is right or wrong! – Same being contouring has now got a name for being heavy, when it doesn’t have to be at all! All contouring is, is using a dark colour & lighter shade to re shape your face. its the COLOUR that does this not the coverage, so much like some people wear bb creams & tinted moisturiser, and some people choose heavy foundations, people can also pick the coverage they choose and do the same with the effect of contour! Below is my video on how to contour using SHEER COLOUR!! 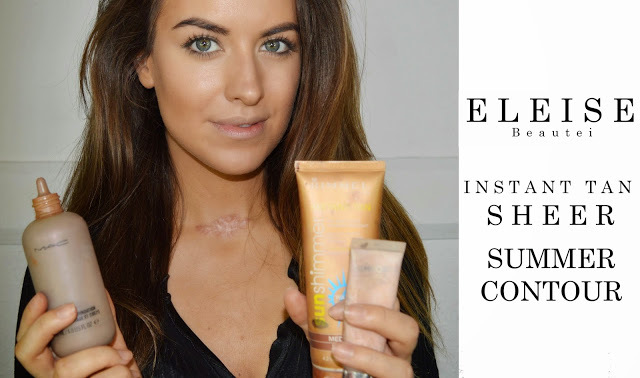 ideal for summer & people who don’t like wearing heavy foundations….I’m demonstrating both an instant tan & a light, sheer foundation – but you chose whichever you like! Make up is ALL ABOUT picking & choosing what you like! Previous Article← My Home made Turmeric face mask!